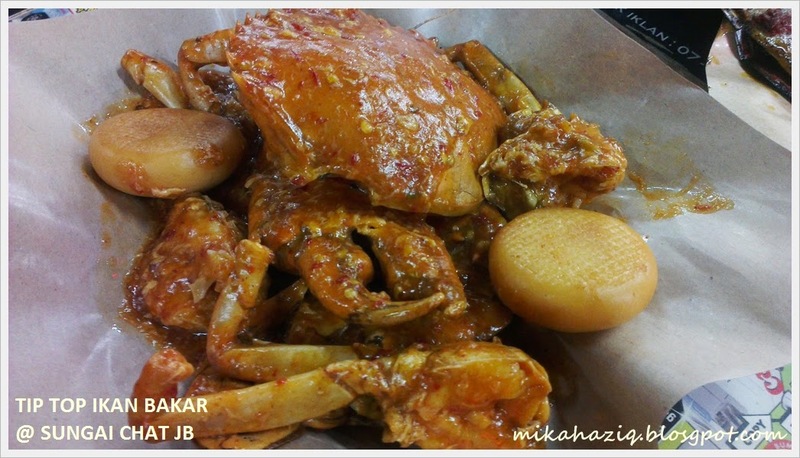 Chili crabs were fantastic, very close to Singapore chili crabs, I prefer the garlic prawns over the butter prawns but still both dishes were nice and the sea bass though not the crispy kind that I like was still yummy with the sambal over it. Nice nice nice! 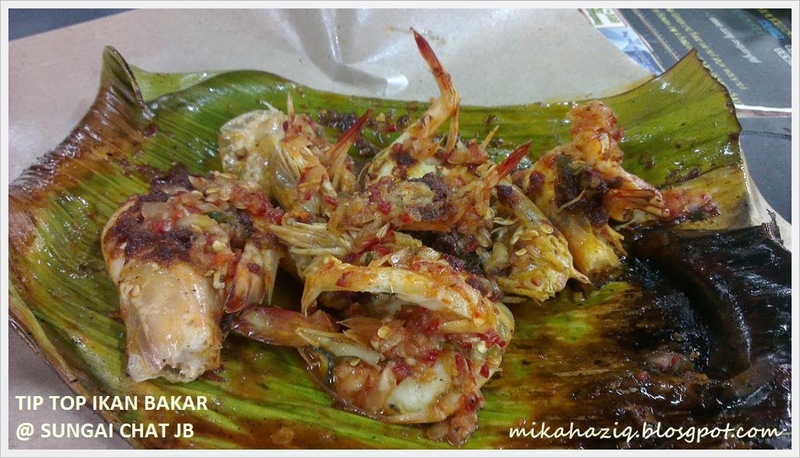 We were very satisfied that evening but was bursting our seams so we couldn't get to try the famous cendol plus our kids were cranky over the ants on the table and lizards walking up the pillars so we got to end it quick. On the way to washing our hands near the seafood selection area, suddenly we noticed the Chinese lady boss busy calculating the day's earnings and another chinese lad greeted us if we would like to order (both were not there when we first ordered). 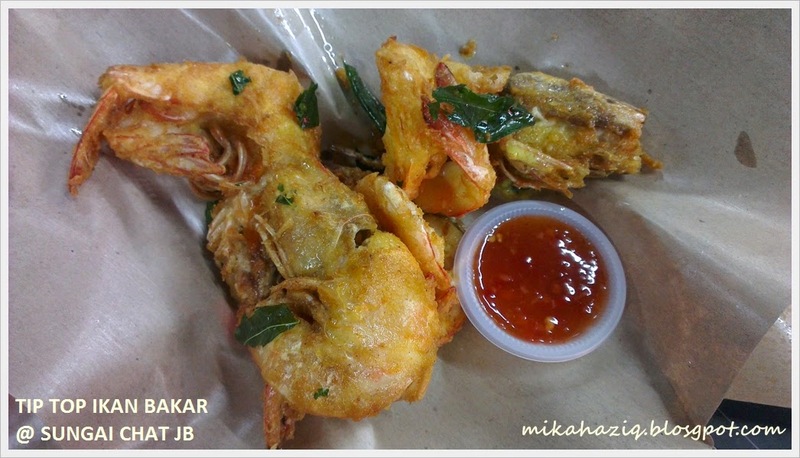 We weren't aware that Tip Top Ikan Bakar is chinese owned though the cooks look like Malays, it's not that we minded it that much, it's just that when so many Malays recommended Tip Top Ikan Bakar as the best place for ikan bakar in JB, it would be nice to just say that "owner dia cina" so that its clear to all and people can decide to eat there based on preference. 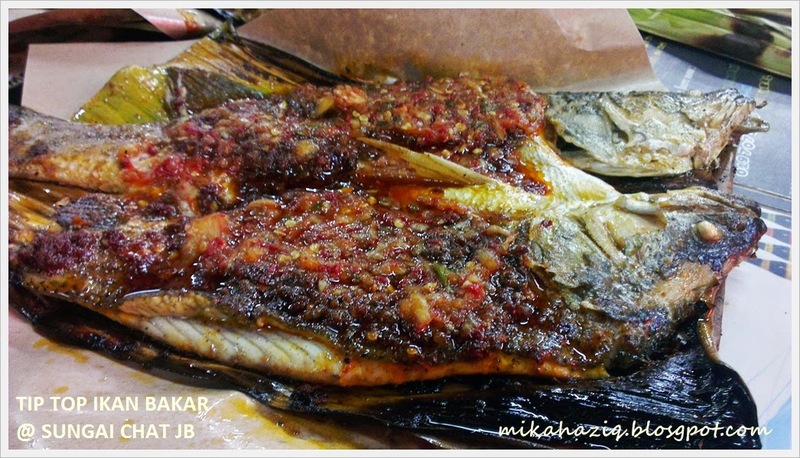 Ok, so Tip Top Ikan Bakar is at Sungai Chat, from Jalan Skudai, turn left into Jalan Sungai Chat (you will see Medan Selera Sungai Chat at the side of the road (the one that sells Murtabak Singapore) take the first right and drive straight to Jalan Mohd Amin. Its a whole row of hawker stalls, you can't miss it.